During our research with the Greek Orthodox Church, we have located numerous documents hand signed by Muhammad granting permanent protection to Christians and to their churches. These documents have been in existence since the original order given by Muhammad in 628 ACE. 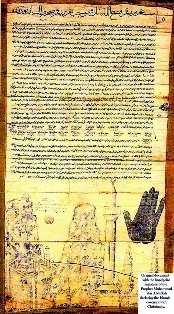 We have located several recent documents which sustain the original charter of rights. International conflicts and acts of terror, committed in the name of religion, must be viewed as a problem, which can only be resolved if viewed in a realistic prospective. One should visualize these conflicts as an "onion" that must be peeled away layer by layer. We must define each layer and create an effective solution then go to the next layer. PTWF believes that the media's role is high on the list of the tools used to fuel conflicts and is common to every major disagreement. We also observe how it seems to be the "sacred cow", in the way good people ignore its effects. As a non-sectarian organization, Pave the Way Foundations has worked hard through our gestures of good will, to develop trusted personal relationships with the religious and political leaders in the Holy Land. When problems develop, we attempt to take an unbiased position, in order to suggest solutions. Many times this methodology will succeed when we suggest a mechanism to solve the problem, which may avoid the “turf war” that usually inhibits interreligious cooperation. Back door communication and diplomacy will usually succeed when public confrontation inhibits solutions. Throughout the history of the modern State of Israel, peace has eluded all of the people of the region PTWF is working with prominent Palestinians who wish to give the Palestinian people another choice. Contrary to media coverage of this region, the Palestinians and the Israelis desperately want peace. The media seems to only report on the exceptional few extremists. The truth is all of of the people from both sides have the same message. For three generations we have been at war and we don't want our children to have to continue this. It is the special interest of the elite few, which has driven this region to constant conflict. The Greek Orthodox Church has duly elected a new Patriarch of Jerusalem. 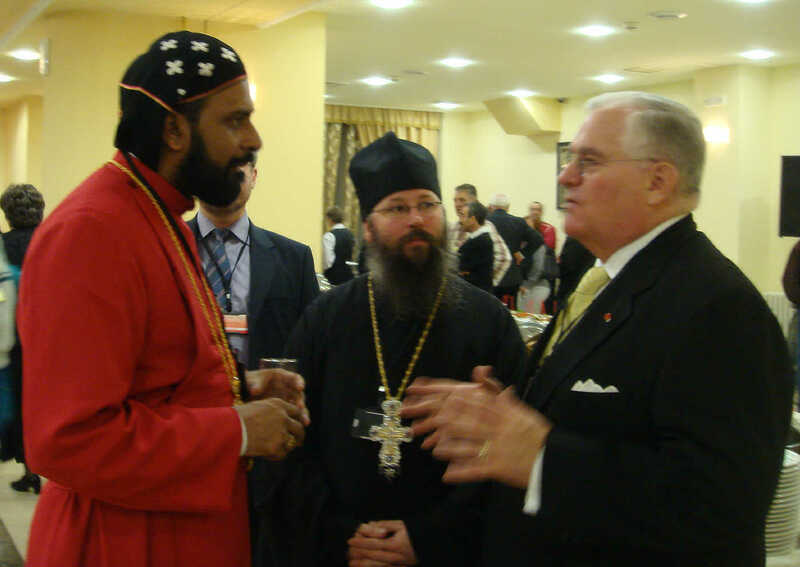 This process was legally conducted and the newly elected Patriarch, His Beatitude Theophilos III, immediately enjoyed full endorsements by all of the other Christian Churches, by the Jordanian Government and by the Palestinian Authority. These are the required approvals. The Israeli government must also affirm the legal status of the Patriarch. The Israeli's process is taking additional time and consequently the new Patriarch cannot discharge his duties or take possession of the residence or business affairs of his Church. 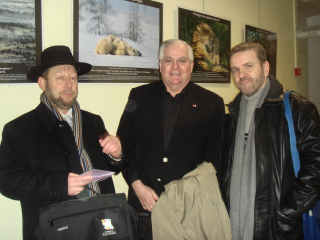 Meetings in Lyon with Islamic, Christian, and Jewish leaders has resulted in remarkable advances.. This impressive cooperative group of religious leaders, have performed important peacekeeping functions, during recent uprisings in France. When diplomatic relations were begun with Israel on Dec 30, 1993, a few important issues were never settled and remain outstanding today. Improved relations, with the Holy See, will have enormous benefits to Israel both economically and politically. It will also assure that this relationship will continue into the next Papacy. With recurrent ongoing meetings with Father David Jaeger spokesperson for the Franciscan Custody and legal representative of the Holy See in Israel, and Archbishop Antonio Franco Apostolic Nuncio and Papal Delegate for the Holy See in Israel and the Holy Land, we were able to focus on current deficits in the relationship between Israel and the Vatican. 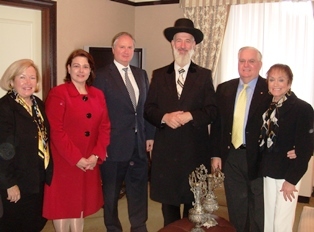 Our meeting with Grand Mufti of Jerusalem was extremely positive. We discussed the WASATIA initiative for peace in the Holy Land. This organization is taking a real position on creating a genuine peace between Palestine and the State of Israel by acknowledging the Israeli right to exist in peace. WASATIA concentrates its efforts on building a transparent infrastructure and respecting the three faiths of Abraham. Muslims must base their faith on the true message of Islam devoid of corruption and extremists activity. Eliminating problems and misunderstandings between the religions and governmental entities has enormous importance. Too many times, erroneous and inflammatory press reports have created artificial obstacles. We know when there are genuine disagreements to engage without having the artificial problems created by those with a different agendas make matters worse. 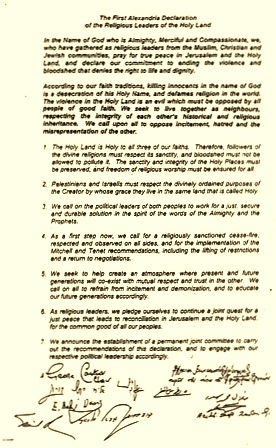 January 21, 2002 In the Name of God who is Almighty, Merciful and Compassionate, we, who have gathered as religious leaders from the Muslim, Christian and Jewish communities, pray for true peace in Jerusalem and the Holy Land, and declare our commitment to ending the violence and bloodshed that denies the right to life and dignity.